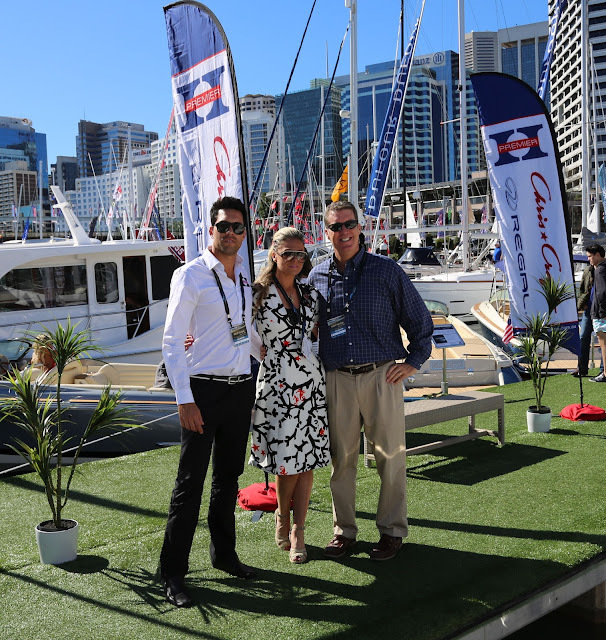 Boat Life Style-Premier Marine: A Toast to Sydney Boat Show! A Toast to Sydney Boat Show! Edge Models with Gary Holmes for a gorgeous photo shoot on our Chris Craft boats! Mother Nature certainly did her part this year and turned up to our Sydney Boat Show in all her glory! And the best bit is she's stuck around to ensure all the excitement continues, especially considering all our new boat owners are absolutely loving the ability to get their feet wet...in the middle of winter no less! We couldn't have had a better Show and we were so excited to have Steve Heese, the Chris Craft President, keep us company on the stand as he loves to share his passion for his Chris Craft. He is and will always be thought of as my Boating God. Our James Bond Boats, as Chris Craft are affectionately termed, were the absolute show stoppers, as they made good on their promise to stand out in a sea of sameness. What better way to show off our Bond Boats, then with a cool James Bond style photoshoot! The crowds were absolutely taken by this gorgeous couple who added a unique sparkle to the beautiful boats on display. Amazingly we also managed to sell our very first BAIA 63 ONDA, which was only released a few weeks ago. With a top speed of 50 knots, this 63 footer is going to be unbelievable out on the water! 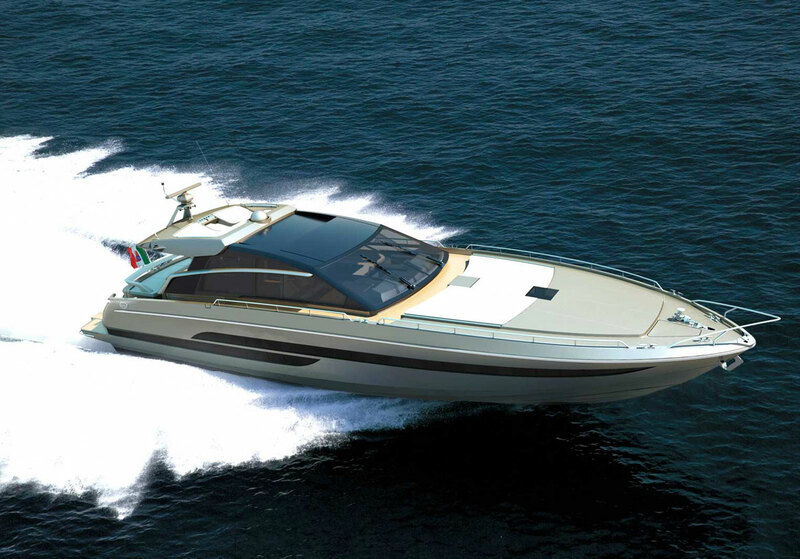 And the Frauscher 1017GT is heading to our beautiful Australian shores as well! We couldn't be more excited about this newly launched model coming our way! 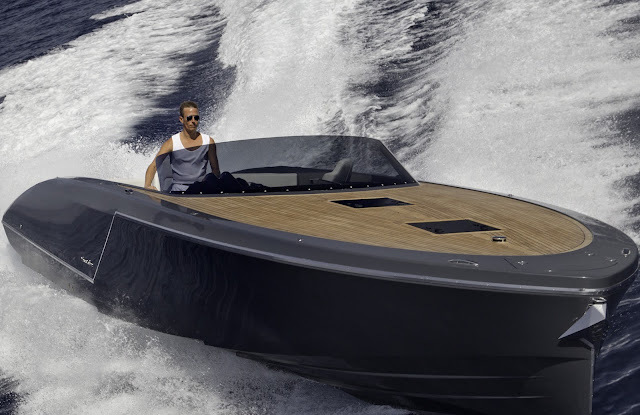 Set to be amongst the sexiest and meanest boats ever made, the Frauscher and Baia are going to make huge waves in Australia and will no doubt be dubbed Australia's finest and most aspirational boats imaginable, alongside our Chris Craft and Regal Boats of course. Great post Lee. I'm looking forward to your next one. You have captured some great images of the boats and the models too, they are sure to encourage people to buy Lee. I wish you all the best. I too love beautiful things and boats are a passion of mine, unfortunately I don’t have one of my own – just yet! Although living in Sydney it is the perfect place to have one. Dietary supplements low hormones levels inside the form of nutrients and minerals are helpful out of the box the truly apt use of several herbal supplementations. The second may be beneficial at trying to repair a stability inside the adrenals and HPA axis through regulating cortical ranges.